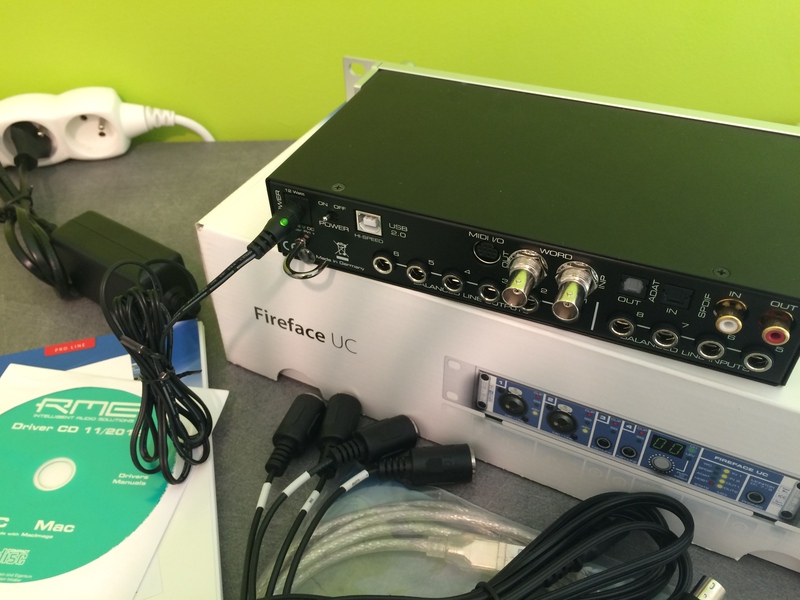 Fireface UC, USB audio interface from RME Audio in the Fireface series. The good converters for recording, a good clock. Preamp into an XLR, MPC into a jack. What do you use it for? What's your setup (motherboard, CPU, RAM, hard drive,...)? For everything! To record vocals and separate tracks of the MPC, composing/mixing. Setup: PC 4GB RAM, Windows 7 32 bits. Cubase 5 and FL Studio 11. No, it's done pretty fast. Is the overall configuration complicated? Yes. And the virtual mixer is easy to get to grips with. The sound fidelity, the single knob to browse inputs/outputs, the XLR converters, the virtual mixer. Which feature do you like least? Not enough inputs on the rear! I'll have to take the model just above as a consequence. Maybe a small reverb or an EQ. Without hesitation! If I had more money, I'd take the 800 to have more inputs/outputs. Pro connections and manufacturing, the aluminum rack is very good. Mac and PC drivers very good, latency OK. 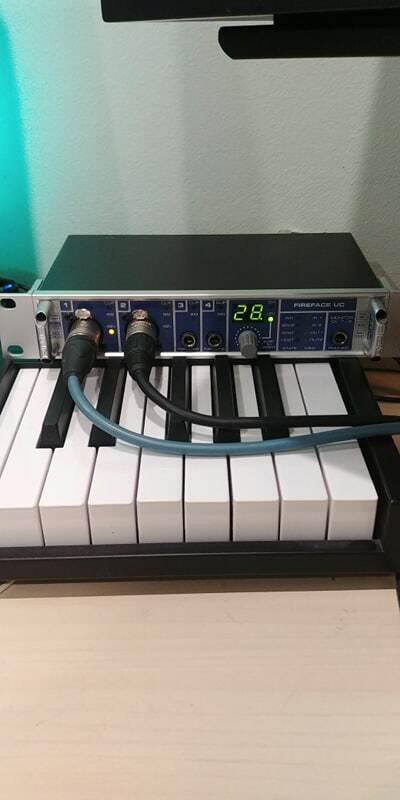 Problem-free installation, it works with all software programs (cubase, protools, sonar), the only problem is when you want to switch from mac to pc, you need to look very deeply in the documentation since this card has different drivers. 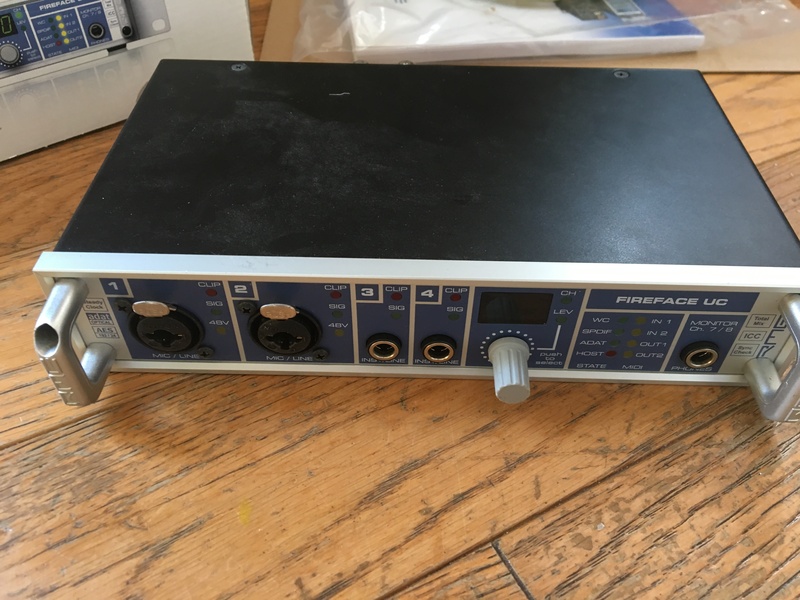 Very good soundcard, but it's very expensive compared to similar products, it lacks an input limiter, Roland has less expensive and better performing units, like Motu. chamb's's review"A USB Fireface 400"
Very reliable drivers. Both on Mac and PC. The RME routing utility is a real pain, but once you understand how it works, it's very powerful. I needed a compact soundcard with USB (FireWire is disappearing), good AD/DA converters and a good clock. So, given my budget (less than $1000), I went for RME. 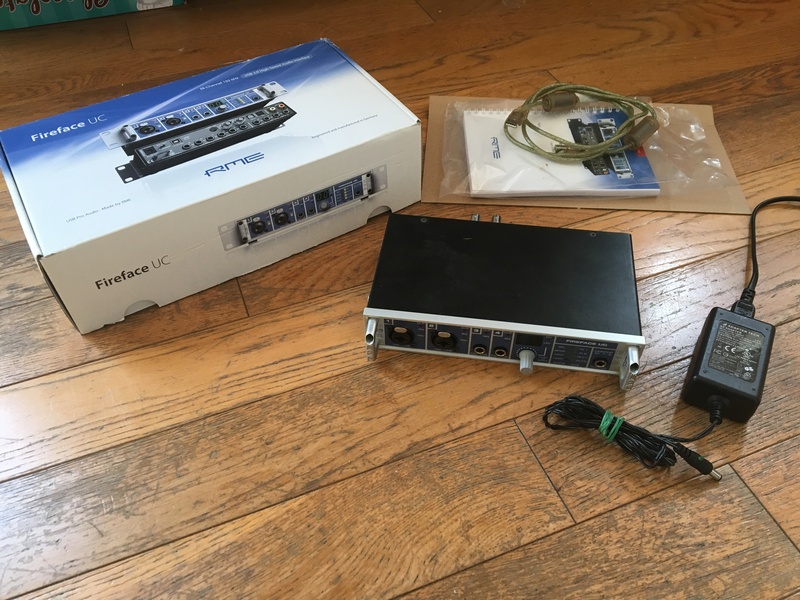 I knew pretty well the products (400/800/Micstasy/MADI bridge/ADI2 and 642) and manufacturing quality of the brand, so I opted for a Fireface UC (after hesitating between this one and the UCX). The UCX works with 32bit floating-point, that's the main difference. I use it specially with Protools and Smart. The analog I/Os allow me to use two or three devices. Good value for money. Typical RME sound. A no-brainer at this price point. •Are they up to date? I never check, it works fine. •What's the latency of your system? I work with 128 samples, but I think I can go down to the minimum, depending on what I do. •How many tracks can you record/playback simultaneously ? I can record 8 but haven't counted how many I can play back. •Did you have any problems during the installation? No problems. •Did you have any incompatibility problems? None. •Is the overall configuration complicated? It's as easy as it gets!!! •Is the user's manual clear and comprehensive? I have never opened it. •Which feature do you like the most / the least? It sounds good, it's stable. •How would you rate its value for money? RME is really good, I think. •Based on your experience, would you buy this product again? Without hesitation!!! 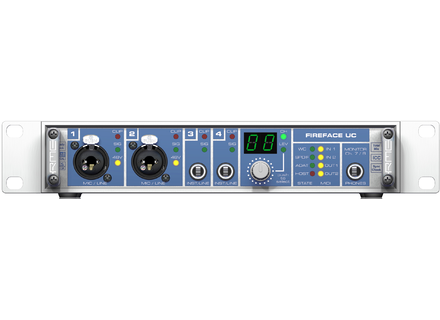 The RME Fireface UC is designed to provide ultra-low latencies even with multiple audio channels and breaks performance restrictions of typical USB audio interfaces with transfer technologies.